There is nothing worse than having a flat bicycle tire while you are enjoying yourself cycling. However, it can get even worse if you don’t happen to have a spare one or a tire repair kit. 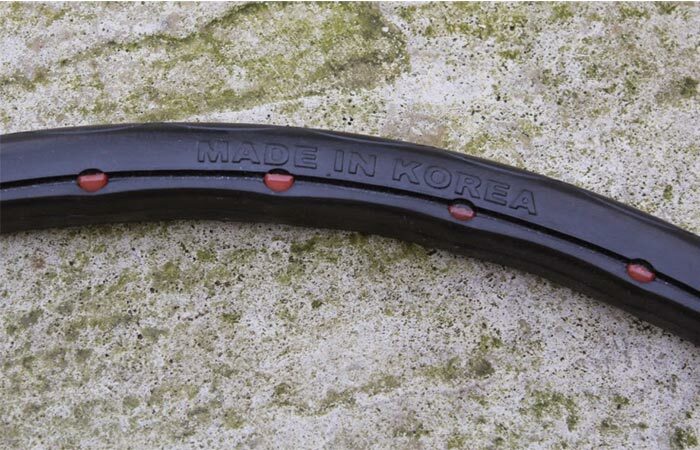 In order to eliminate this issue, Tannus TIRE, a Korean company, has worked on and improved the 130 year old solid tire idea, giving us Aither 1.1, a tire that will never go flat. Tannus TIRE has been in the business of making solid structure tires from 2011 and they have made significant improvements to the concept during this time. The Aither 1.1 is the successor of the Aither 1.0 and, according to the claims of its creators at Tannus, the Aither 1.1 is even more durable than the Aither 1.0. 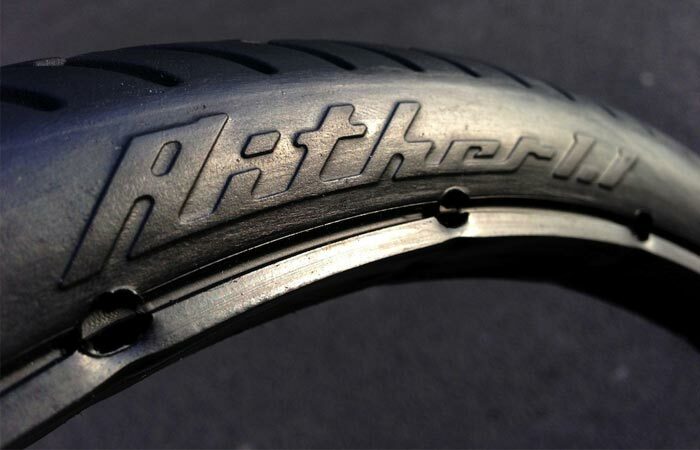 This means that the Aither 1.1 should be able to last for 9.000 km of riding without losing as much as 1.5 mm of tread. The main feature of any solid structure tire is that they can’t go flat but there is a certain issue when it comes to them. As they are solid, they can add more resistance to your cycling and no one wants to experience that. The Aither 1.1 aims to eliminate this factor entirely with the material which is used in its production. This solid tire is made from micro closed cell polymer resin, which is basically a type of foam. It is thanks to this material that the tire is extremely light, as it weighs almost as a pneumatic tire. When compared to its predecessor, the Aither 1.1 has much enhanced elasticity, ensuring a smooth ride and good grip performance while also performing at a much lower rolling resistance; about 15% lower. This level of rolling resistance is very close to the one pneumatic tires have. The material it’s made from makes the tire resistant to chemical attacks and prevents it from deteriorating over time. You wouldn’t even be able to notice significant color fade-outs. The fact that this tire is extremely durable, lightweight, and offers a bicycle ride equal to one with a pneumatic tire is not the end of what it has to offer. It is even easy on the eyes with its numerous choices in colors. The Aither 1.1 will be available in ten different colours. This tire will come at a set inflation level of 100 psi and four sizes (700 x 23 mm, 700 x 28 mm, 700 x 32 mm and 26 x 1.75). It is important to note that the last three sizes are only available in black. When it comes to the installation process, some might think it tedious, but keep in mind you have to do it once before the tire gets worn out (after 9.000 km). 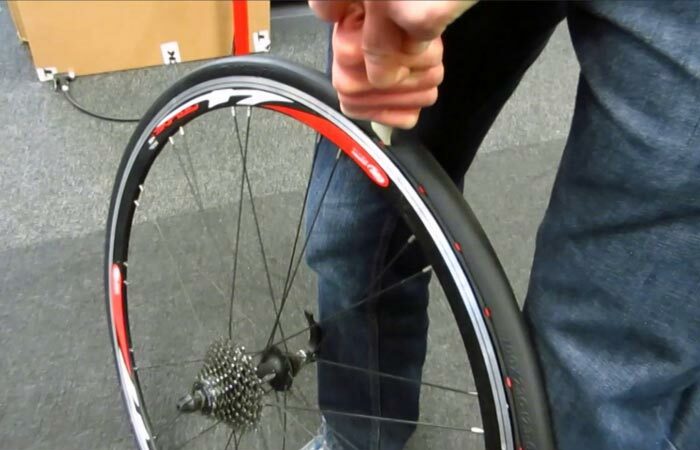 First you have to take the pins and insert them in the slots in the inner circumference of the tire. This process is started by hand and finished by the supplied tool which resembles a plastic chisel. After correctly inserting the pins, you will have to place the tire on the rim and use the plastic chisel to push down the pins into the rim. The clicking sound of the pins getting inserted will be the confirmation of a job well done.